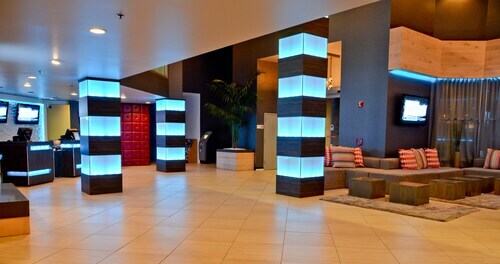 Get instant savings by purchasing a Huntington Beach holiday package. Just select your favourite options and let Expedia do the rest. Earn savings of up to 59%* by booking a package deal on Expedia. With more than 400 partner airlines and 321,000 properties to select from on our universal database, you won't have any trouble designing your perfect holiday. Itinerary need a little work? Huntington Beach holiday all arranged but not sure what's on the cards when you arrive there? Let us give you a helping hand. Rainy days are a terrific opportunity to immerse yourself in a good book and enjoy a little downtime. If it looks like it's going to pelt down, why not hightail it over to Huntington Beach Public Library and check out the latest novels? Travellers have a wonderful selection of things to do in this destination. Huntington Central Park is a lush haven that's easily accessible from the main downtown area. After a busy morning of sightseeing, wind down under its shady trees. Still have some time to spare? The conservation of wildlife in its natural habitat is of fundamental importance. Immerse yourself in the stillness of nature at Shipley Nature Centre and see what animals and plants you can spot. It's no secret that you don't take time off work to sit in a metal tube and sleep in a different bed. Travelling is all about the cool things you can do while you're away! For more activities, head to our Huntington Beach things to do page. 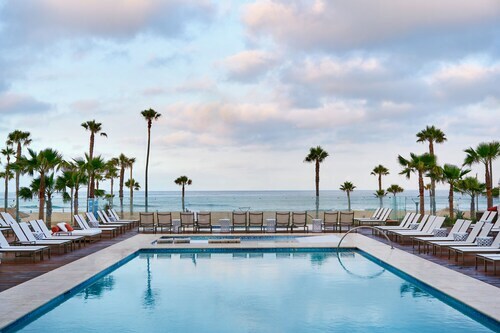 Seeking luxury getaways and cheap holidays in Huntington Beach? Regrettably, accommodations are few and far between. But, if you don't mind commuting a little further away, you'll find there are as many as 47 options close by. 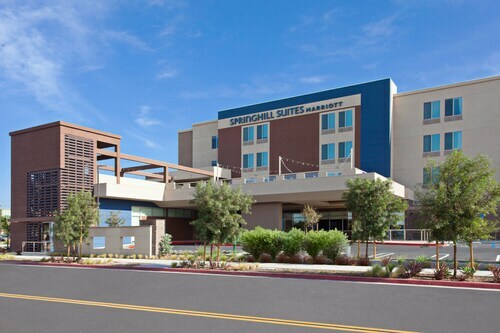 From the comfort of the Paséa Hotel & Spa (21080 Pacific Coast Highway) or the Hyatt Regency Huntington Beach (21500 Pacific Coast Hwy), you can see everything this neighbourhood has to offer. 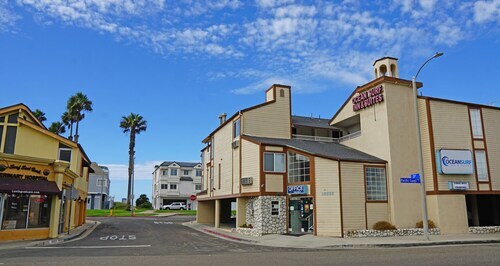 Preparing for your trip to Huntington Beach? Arriving by plane? Prepare to walk out into a crowd of friendly faces at John Wayne Airport (SNA). The terminal is situated 8 miles (13 km) east of the central area. I’ve stay here 4 times now to attend Fabulous Fords Forever. The garage works great for me. And, security (thx Tito) is excellent. The hotel is in a great location and very nice hotel. Great view from the room. Room was very nice (new building). Very clean and eye pleasing and right next to resteraunts and shopping. Staff is wonderful. Friendly staff. Newly renovated room. The bed was so comfy! Had beach chairs and toys for the beach. Lots of games in the lobby. Good Continental Breakfast.